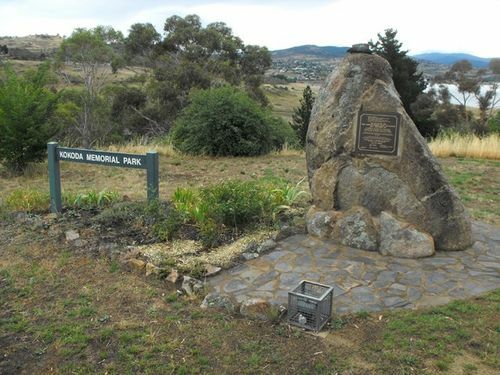 The Kokoda Memorial at Jindabyne (east) is dedicated to the 3rd Militia Battalion, on the Kokoda Track. This memorial was erected to commemorate the men of the battalion who were called up and sent to fight in the Owen Stanleys and Beach Heads at Gona. The 3rd Militia Battalion was the longest serving Battalion in the Kokoda campaign. They Bled To Keep Australia Free. Merv Shea of Yass (3rd Battalion) On 2nd November 1942. Of D. Coy 3rd Bn. Memorial To Bob And His Mates.